Time To Consider A Train Vacation? Train vacations are becoming increasingly popular in Middle America. You can go on a tour of specific areas and spend some time in hotels or you can have your accommodation and meals on the train and disembark or stay on board depending on your mood. Modern trains can travel very fast and one of the great things about traveling everywhere by train is that you don’t have to bother with driving a car. Train vacations mean that you can arrive at a destination without all the stress involved in driving yourself there. There is plenty of room on modern trains for passengers to move around, you don’t have to remain in your seat if you don’t want to. Modern trains have much larger windows which means that you get a more comprehensive view of the passing scenery, whether you are traveling on flat, open ground or on mountainous territory. If you want to be sure that you will enjoy your train vacation then you should thoroughly investigate the various routes you can take. Some people opt to go abroad for their train vacations, visiting places such as India, China and even Siberia. A trip on the trans-Siberian railway is the trip of a lifetime connecting Vladivostok with Moscow and crossing through seven time zones along the way. The Canadian train vacation crossing from Vancouver in one part of the country to Toronto at the other end. If you enjoy the natural world then a train trip through some of America’s national parks might be an option for you. You can travel by train to the Rio Grande where you will go through the Carlsbad Caverns National Park and see the living desert zoo. If you decide to take a train vacation through Texas then you will visit the Guadalupe Mountains National Park, which is where the tallest peak in Texas is located. You can also travel through the national parks that are in the Rockies by train and see the famous Yellowstone Park. If you go in winter and you’re feeling brave then you might want to disembark and ride the horse drawn sleigh through the snow. Should you decide to travel to Canada then you can take a train vacation through the Canadian Rocky Mountains and view the area’s amazing scenery. On the Rockies escape tour you will travel through Jasper National Park and the Banff National Park. The fact is that the choice of train vacations is virtually endless, just think of somewhere that you would like to go and you’re sure to find a train tour running in that area. If you’ve never visited Mexico then why not take a train vacation in that country? You can take a trip to the top of the Sierra Madre Mountains and learn about the history of the area as you travel. If you like waterfalls and caves then you won’t be disappointed. 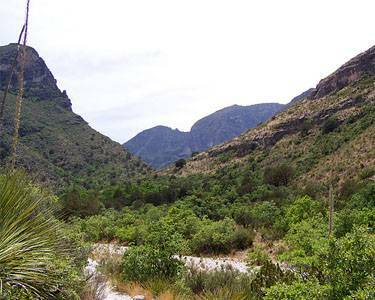 Enjoy a ride through the Copper Canyon across more than three hundred miles of railroad track. There is considerable variety when it comes to train vacations, depending on where you want to visit and what you would like to see. This article made available by America By Rail, offering a huge selection of train vacation packages across North America.